10th of December, Human Rights Day. 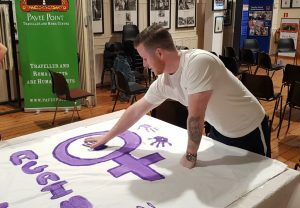 In Ireland, 1 in 5 women who have been in a relationship have been abused by a current or former partner. (O,Connor, M, &amp; Kelleher Associates, Making the Links, Women’s Aid, 1995). Additionally, since 1996, 225 women have died violently in the Republic of Ireland. 61% were killed in their homes. (Women’s Aid Femicide Watch 2018). 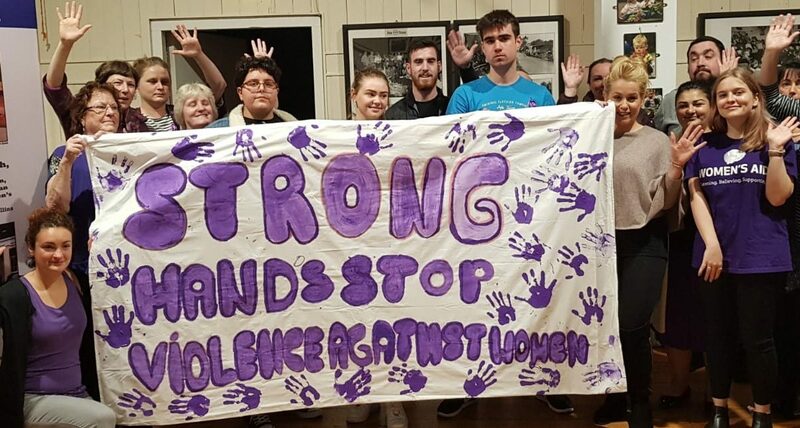 This year, to mark the International Day of Elimination of Violence Against Women, the Violence Against Women (VAW) programme in Pavee Point held an informative, interactive, in-house workshop for staff, ‘Strong Hands Stop Violence Against Women’. 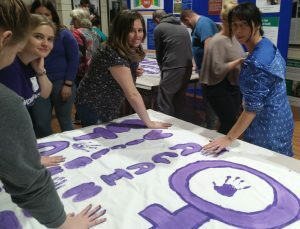 In the workshop, the programme highlighted the importance of Traveller and Roma women and men working together to end violence against women through an art project.